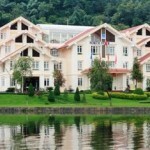 Find some useful information for Royal Hotel in Sapa, Lao Cai, Vietnam: the Royal Hotel location, map, the accommodation type and room facilities. Located heartily in Sapa town, Royal Hotel brings the utmost comfort and convenience to guests in a very cozy atmosphere. 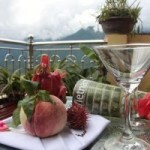 The hotel offers unrival view towards Muong Hoa valley, rice terraces and Fansipan mountain. 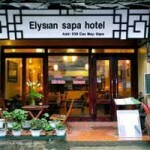 Friendly staff and many useful facilities: IDD telephone, satelite TV, fire place, private bathrooms,..this hotel will ensure your enjoyable stay in Sapa with us. – Deluxe: rooms with balcony, 14 rooms are street view in 25m2. – Superior: rooms with fireplace & balcony for mountain view in 22m2. The restaurant can host up to 120 guest. 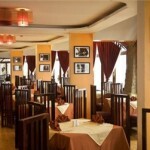 Menu is quite a diversified option which varies from local cuisine to Asian and European foods.